Pulaski County: Today, the words VISION, PRIDE, AND EXCELLENCE form the core of the County seal. 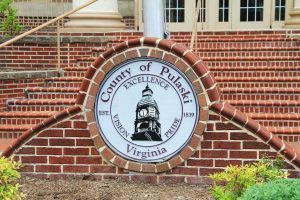 These words, penned over 10 years ago, summarize the history of Pulaski County and exemplify the spirit of its citizens as they work to create a strong community for future generations. Pulaski County has a beautiful old historic downtown. The rail road goes through this town.